Three from the Spheres Series on view at Otherworldly at the Grimshaw-Gudewicz Gallery at Bristol Community College, Fall River, MA, 2018. Selections from the Filigree Series on view at Ornamental, solo show at the School of Fashion Design in Boston, April/May 2017. 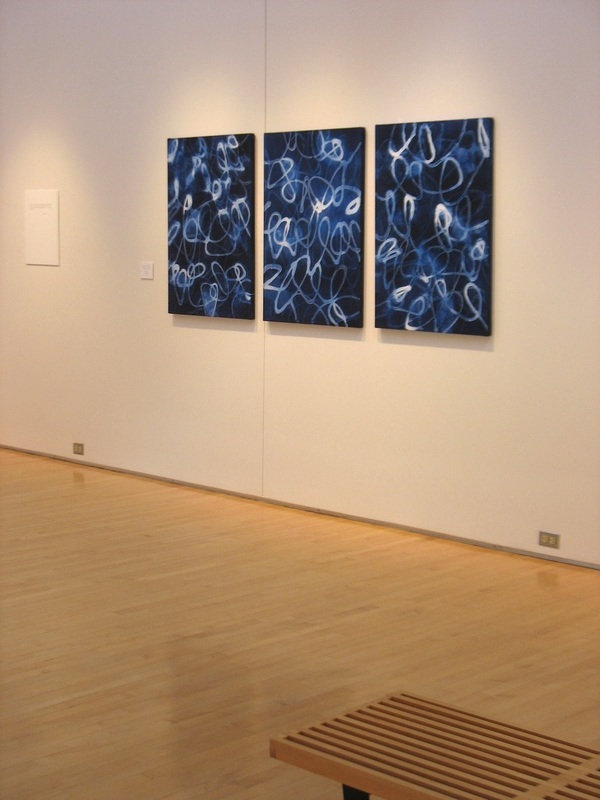 Umber Patterns Series on display at Contemporary Women Artists, curated by Mary Dondero, at Bristol Art Museum, Bristol, Rhode Island, 2016. View of Loops / Links: Cut Paper Collages, solo exhibit at Gallery 65 in New Bedford, Massachusetts, 2016. 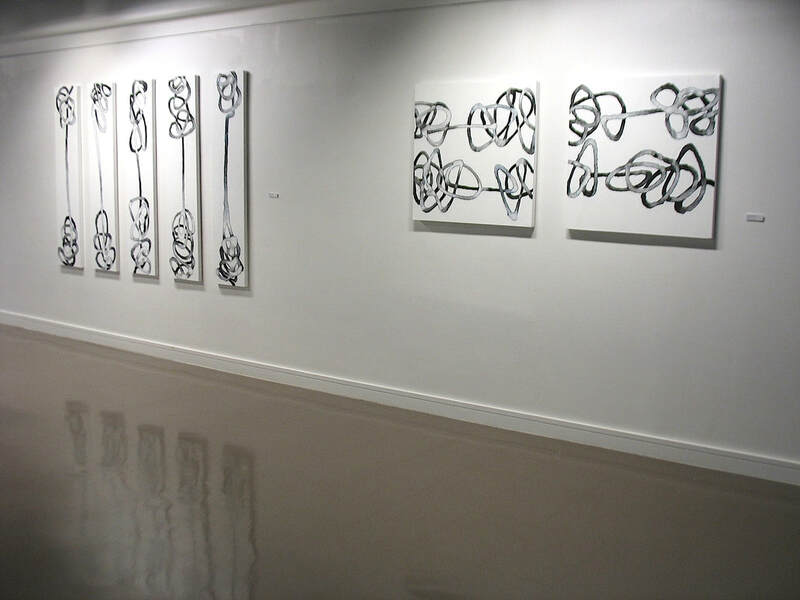 "Suspense" and "Scrawl" at Actions/Reactions at the Mazmanian Gallery, Framingham State University, Framingham, Massachusetts, 2013. 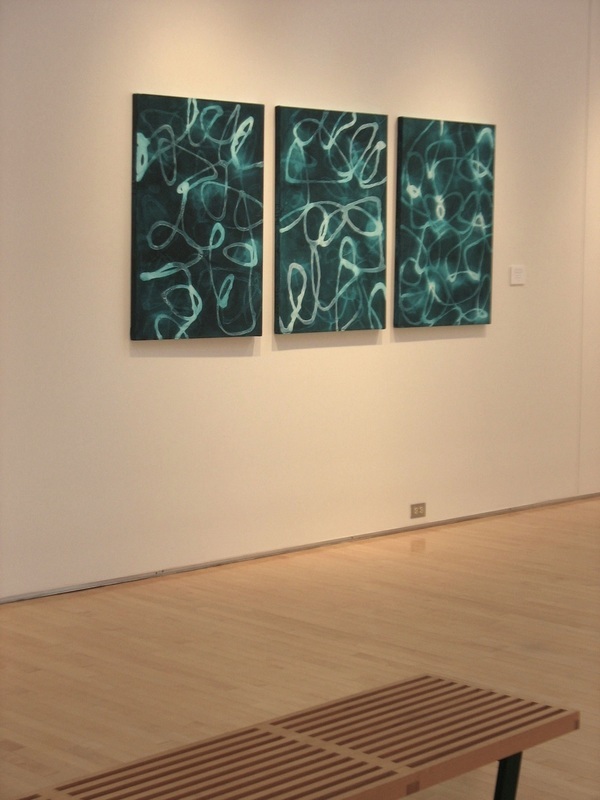 Pool Series at Painting NOW, curated by Kathleen Hancock at Grimshaw-Gudewicz Gallery, Bristol Community College, Fall River, Massachusetts, 2010. Series of five artworks in the permanent collection of Berkshire Partners, John Hancock Tower in Boston. "Ochre Mosaic Square" (left) and "Yellow Web 3" (right) in the permanent collection of Meditech Information Technology, Fall River, Massachusetts.